Instead of jumping into a complicated, time consuming process to repair a little problem on your Mac, trying out a quick fix could save you a lot of trouble — the most common issues are typically very easy to work out. Professional technicians use quick fixes as their first attempt to resolve the issue as simply and quickly as possible. The age-old phrase "did you try turning it off and back on?" seems silly, but it's actually the most basic fix that you should do as soon as you detect an issue. Restarting your Mac reboots the operating system (OS) — if a program crashed and is slowing your processor or if a function is experiencing difficulty, a good restart should fix just about everything. You should always restart your computer by commanding a shutdown/restart through the proper menu. Force-shutdowns done by holding down the power key is a last resort. Newer Macs might not have their issues worsened by this, but the risk is still present. To perform this function, power off your Mac and turn it back on while holding down the key combination of Command + Option + P + R. The Mac will sound like it's booting up normally with a chime and your screen might flicker. It will then reboot a second time and upon hearing the second chime, let go of the keys. 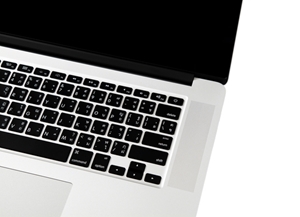 If you or your company need help with Mac repair, reach out to MC Services today for professional Mac consulting.